A caper involving a missing Chick-Fil-A inflatable cow has a happy ending — both for the franchise owner and the man who found it. 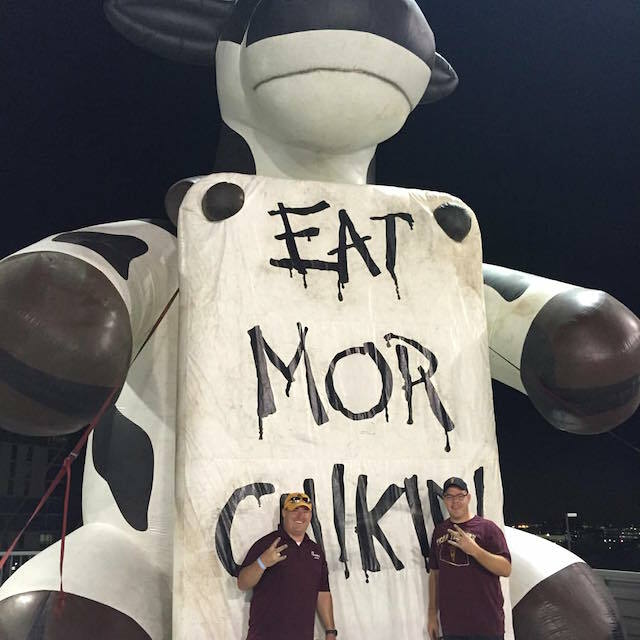 The Chick-Fil-A inflatable cow holding an “Eat Mor Chikin” sign had been displayed at an Arizona State University football game, but after the store’s team packed it up, the cow disappeared from the back of Phil Thomas’ company truck. “This is the only 24-foot inflatable cow in the state of Arizona,” Thomas, owner of two Tempe-area Chick-Fil-A franchise locations, told Fox 10. 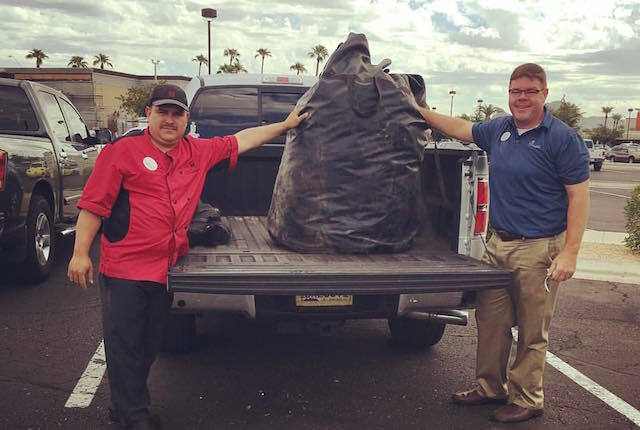 Through Phoenix’s Fox 10, Thomas offered a reward: free Chick-Fil-A sandwiches for a year for the person who could bring the 350-pound cow home. Luckily, someone spied the cow in a local backyard and called it in. When police paid a visit to the yard in question, the resident said he got it at a garage sale, where he thought he was buying a bouncy house. ABC15 reports the cow has been returned to the local franchisee. We do not know the identity of the honorable tipster, but we salute his newly achieved chicken-sandwich habit. Your Turn: What is your most regrettable garage-sale purchase?